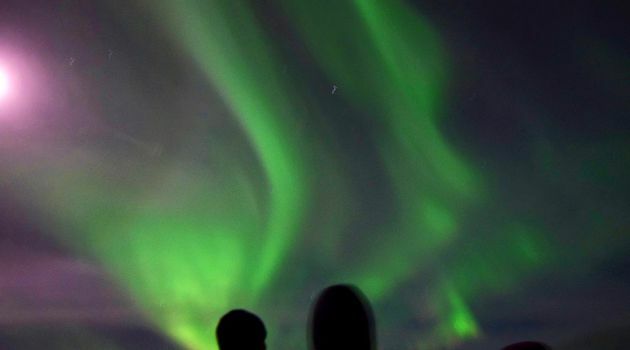 This magnificent combo tour unites some of the most popular winter attractions in Iceland! You start the day with a 3 hr. 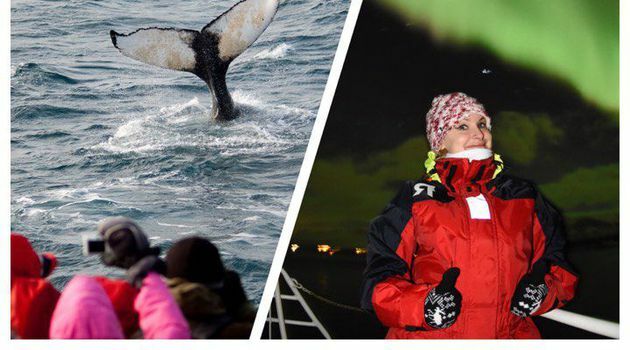 whale watching tour at 13:00 with departure from the Old Harbour in Reykjavík. 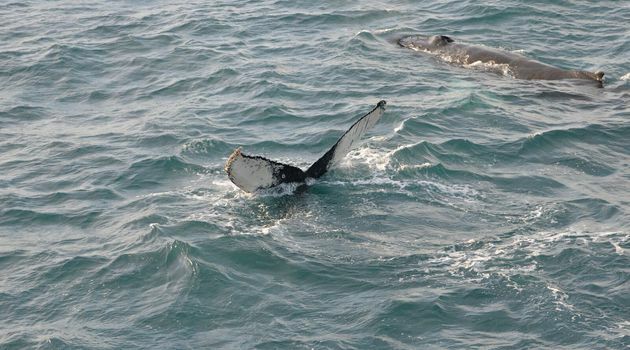 The most common species seen in Faxaflói bay in winter are the minke whales, dolphins, porpoises and humpback whales. The views and landscape on the horizon are not to be missed as they are astonishing in the winter glow! If no wildlife is spotted on the tour, we offer a free ticket to try again! 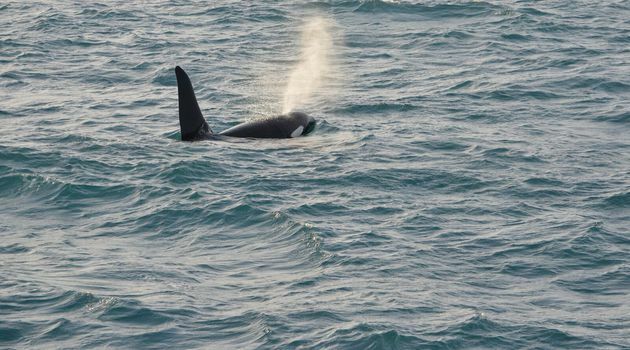 Check our Whale diary for details on past sightings and information about future tours. After having explored the wonderful seabirds and marine life of the bay, you return to shore in time to walk around the city centre and have a cosy dinner. 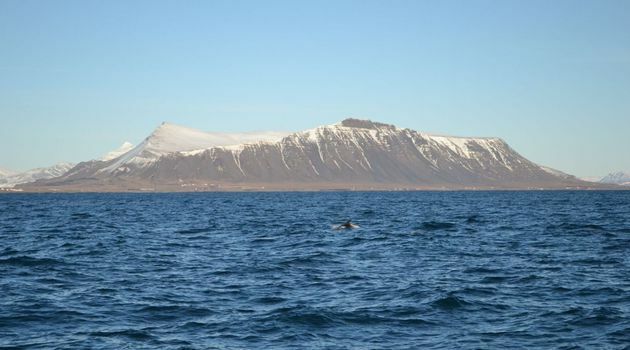 We recommend the wonderful restaurant RIO Reykjavík, conveniently located just down the road from our boats. Then it is time to join us at the harbour again for an amazing night at sea! The approximately 2 hr. 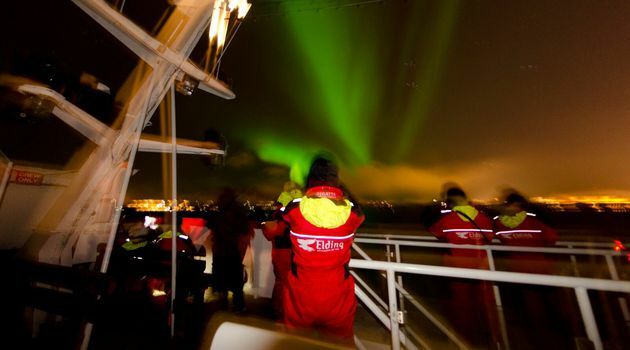 magical evening cruise departs at 21:00 / 22:00 (depending on the season), taking you into the Southern part of Faxaflói bay, away from the bright city lights. 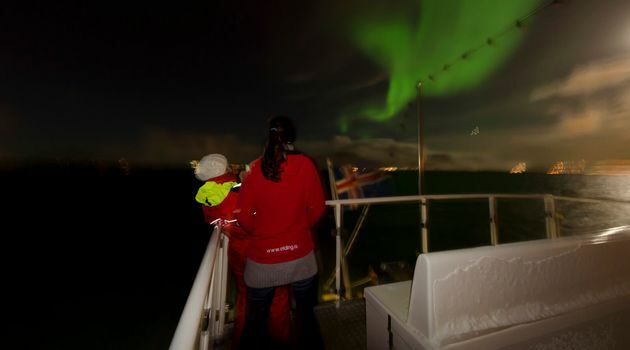 Heading out into the open bay under the vast starry sky is a wonderful experience and certainly not to be missed as a part of your Iceland holiday. 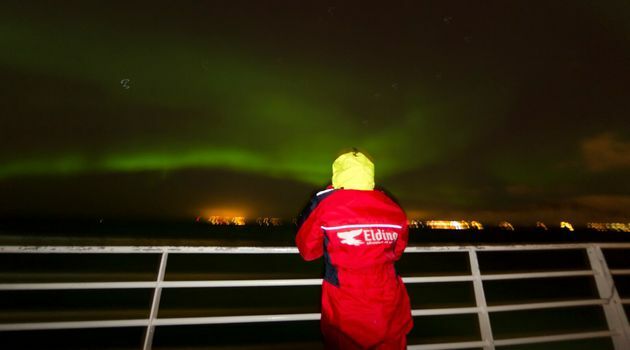 We know that you don't have many days to chase the lights, so we want to maximise your chances by always running the tour, no matter if the forecast is in our favour or not. In our experience, the weather changes very quickly and a fully clouded sky can clear up within minutes. If the lights fail to appear, we offer a free ticket to try again the next day! 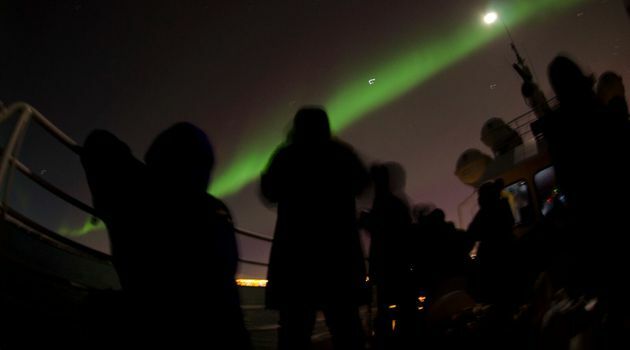 Check our Northern Lights diary for previous sightings and details on upcoming tours. Please keep in mind that if you select pickup for this combo, you will be collected at your hotel or bus stop nearest to your hotel for the whale watching tour and are only returned after the northern lights cruise. For your safety and enjoyment, both tours are weather dependent. Warm clothing and good shoes. 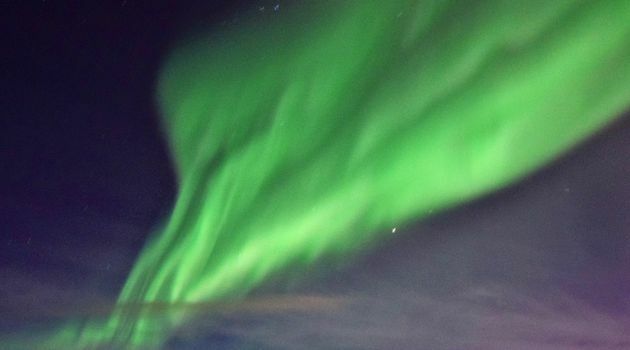 Whales, warm baths & auroras!